Most of us now have blinds to cover our windows. However, we use the term “blinds” to describe a huge range of different models and types and you may find it is hard to choose what you actually need without doing at least some research into what is available. Let’s take a look at some of the different categories of blinds, so you are better able to choose the right ones for your property. Roller blinds, which use a spring mechanism to operate stiffened fabric. They tend to have straight ends and can often be cut to size. Roller blinds can also come in blackout models, which are perfect for bedrooms. Roman blinds are beautiful shades made of fabrics such as cotton, silk, faux leather, hemp or linen. They use a cord mechanism that lifts the rods or slats behind the blind itself. This is done in such a way that, when raised, the blind has a pleated look. Within this category, you will find balloon, flat, hobbled and relaxed blind types. Venetian blinds, which are the most common type. These have horizontal slats made of wood, metal or plastic. They are some of the most versatile types of blinds and give you the greatest deal of control over the light that comes into your property. They also come in various types of wood, which allows you to create a really exotic and natural feel to your property. Vertical blinds are very similar to Venetian blinds, but the slats are placed vertically rather than horizontally. These are great for blocking out sunlight and are particularly beautiful in large windows. 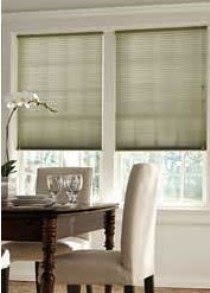 Next time you decide that you need some blinds, the above information will help you choose the right ones.